£3 (from Just Letter Box) for a 40% discount voucher on all letterbox hampers! 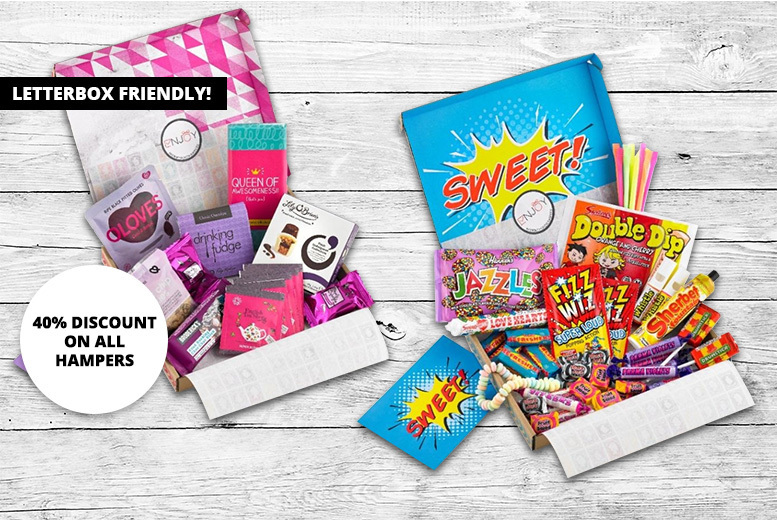 Get 40% off any letterbox hamper with this great deal! Choose from tea, cheese, chocolates and more. All packed into a stylish, colourful box. Guaranteed to fit through a letterbox. The perfect gift for any occasion – or a great treat for yourself!